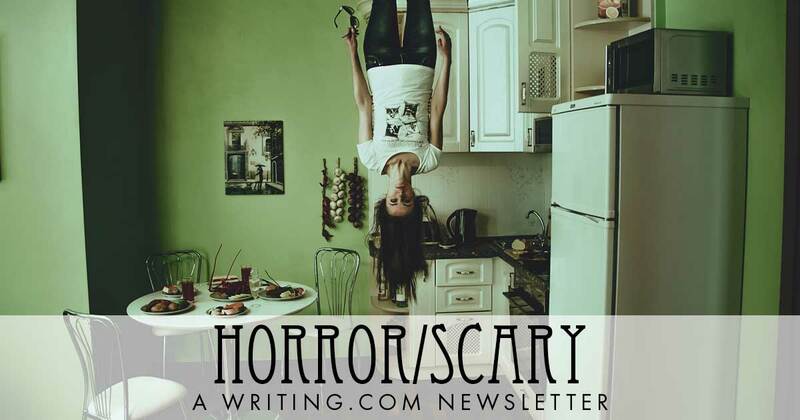 Greetings, and welcome to this week's edition of the Writing.Com Horror/Scary Newsletter. Suspending disbelief, or making your character(s) and readers believe that something horrible is not only likely to happen, but that it will imminently occur, adds visceral depth to your story or verse and keeps your readers immersed in the horrific otherworld you weave. What do we as writers do when a novel contains an element that requires a serious suspension of disbelief? How can you incorporate that element so that your readers buy into the premise and don't say, 'no way'? Consider for a moment that all storytelling, in some way or another, requires a suspension of disbelief. Writers must convince readers that the characters are real people, that the events are those that could happen, that the place where this story or poem occurs is a real place, and these events and these characters are apt to happen and to be in this place. How do we do this, with or without an otherworldly element? The sleight of hand, as with a magician's trick, is in the details. We convince our readers that characters are real by giving them attributes typical of many people: They have features, appearance, mannerisms, attitudes, emotions, motivations, and goals, emotions we can all understand, and unique traits that single them out as individuals. Our characters are three-dimensions: they have characteristics physical, emotional, and spiritual. Then readers have things in common with the characters, and they can relate to them. These common bonds, related through details, help make your characters "real." We convince readers that events are real by using details, testing them for plausibility and testing the events to assure the reader that they are a natural outgrowth of preceding events as those events relate to these specific characters. For example, we don't end a scene in a locked crate and then find our character running across a field the next scene. The story is in the details. Weaving a world with events that are logical and believable for the reader. .
We convince readers the setting is real, the people are real, and the horror the characters encounter, whether known beforehand or merely 'anticipated', becomes for them also a visceral experience, if only until they must turn the next page or reach the next stanza. Tap into the rhythms of neighborhoods, communities, towns, cities, 'burbs, and give your readers a sense of reality, so when they encounter the horror, they will flinch big time. Then, when we introduce the horror, whether in a mundane or fantastical form, the readers will flinch! They will gasp and turn the page to see how to escape or deal with it in the world so vivid among characters with whom they can relate. By suspending disbelief, your readers enter your otherworld and care what happens, whether for good or naught. Working in an old people home wasn't supposed to be this terrifying. Newcomers of a recently purchased farm got more than they bargained for. and wish you joy with a fright for all you write. Generated in 0.52 seconds at 6:18am on Apr 24, 2019 via server WWW1.